Dear guests, hotel manager R. Paymans and the entire team would like to offer you a "warm welcome" to our Mercure Hotel Greifswald am Gorzberg. Enjoy a wonderful stay in a stylish setting. Enjoy a relaxing stay by the beautiful Baltic Sea! The 4-star Mercure Hotel Greifswald is located in the Greifswald Südstadt district and has great transport links. All 113 rooms have free WIFI. Use of the minibar is also included (excludes group prices). Take advantage of our 3 meeting rooms for up to 220 people. Arrival: The Südbahnhof train station is 328 yards (300 m) from the hotel. If travelling by car, take the A20. Bus line 3 from Bahnhof Süd takes you to the city center in just a few minutes. The Baltic city of Greifswald charms visitors with its nautical flair. Popular attractions include the city harbor, the stunning beaches, the Bay of Greifswald and the nearby islands of Rügen and Usedom, home to one of Germany's best sailing areas. 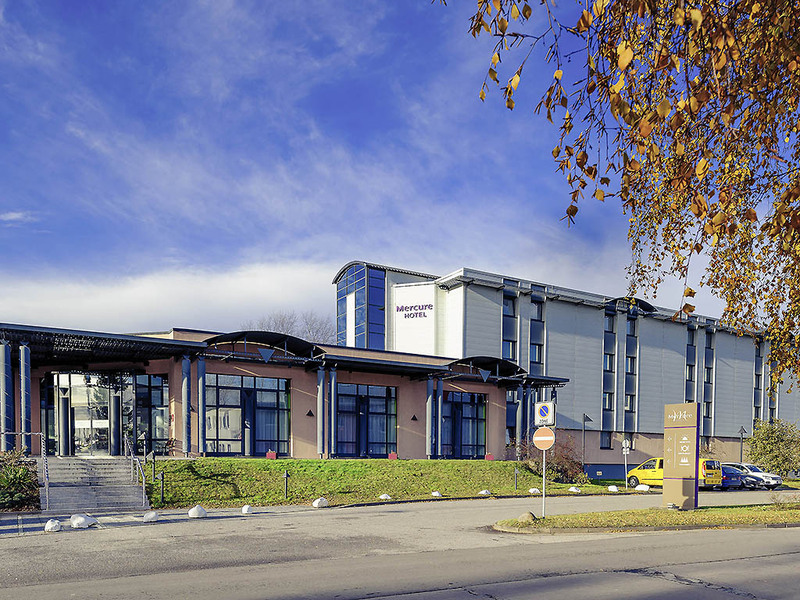 The 4-star Mercure Hotel Greifswald am Gorzberg offers a choice of Standard rooms, Superior rooms and Superior studios with separate living and sleeping areas. Some of the 113 rooms are equipped with Wi-Fi. One child aged up to 6 can sleep in your bed free of charge. We will give you a reduction of 50% on a second room for your children (subject to availability). We can also provide a cot free of charge. Pets are welcome (charge of EUR 6/night). Even the true connoisseurs among you will relish the exquisite cuisine served up in our Aquarell restaurant. Why not take the time to enjoy our gourmet dishes and the beautiful view from our terrace. We are open daily from 6pm to 10pm. Our "Atelier" bar is furnished in the style of a pub and is the ideal place to spend time socializing. Take a seat and enjoy a cool beer or a glass of wine as well as our tasty snacks. The bar is open daily from 5 PM to 1 AM. Bardzo miły, przyjazny i uczynny personel. Hotel po remoncie. Pokój był czysty i wygodny. Bardzo dobre posiłki. Lokalizacja hotelu posiada plusy (ciche otoczenie) jak i minusy (odległość od centrum). Polecam.